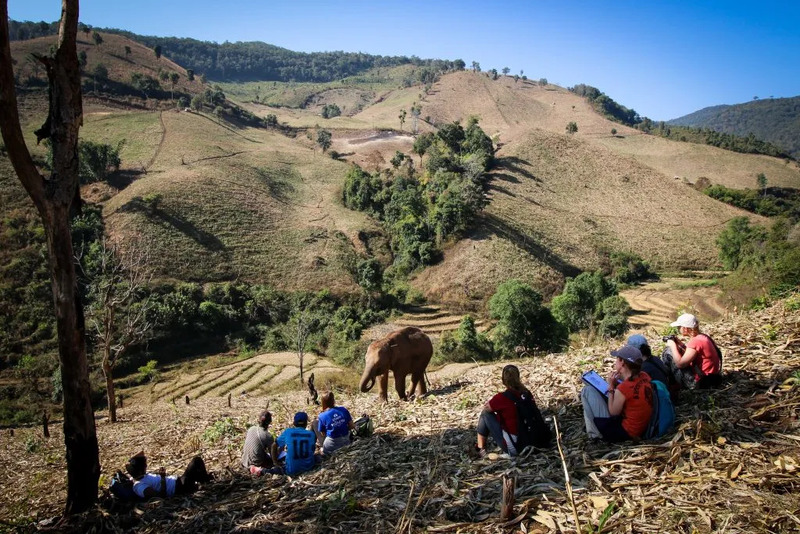 Situated in the northern part of Thailand, approximately 4 hours from Chiang Mai is where our volunteers spend their time working with elephants who once worked in tourist camps. 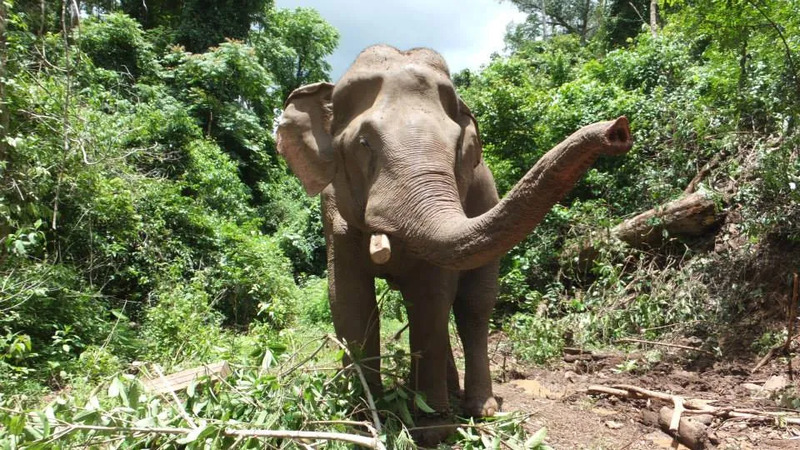 In Thailand it is almost impossible for elephants to get away from elephant keeping communities. 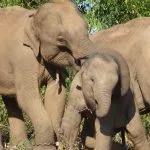 These elephants now live in a more natural environment and being on this program, volunteers learn about the history, behavior, social interactions and also observe elephants alongside mahouts and in their natural habitat. 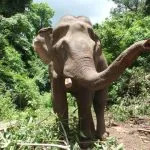 This program is a hands-off, ethical elephant project aimed at reintroducing Asian elephants to a natural living environment. 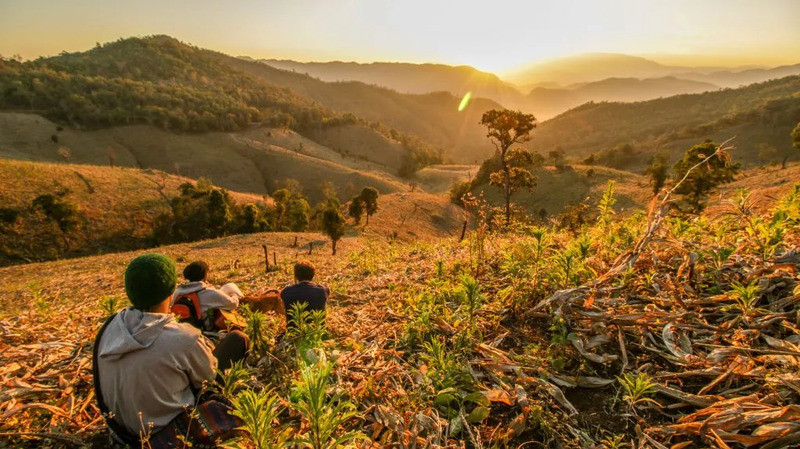 The project was started by the village to find sustainable ways to keep their elephants in the forest. There is also a large focus on community engagement & development. 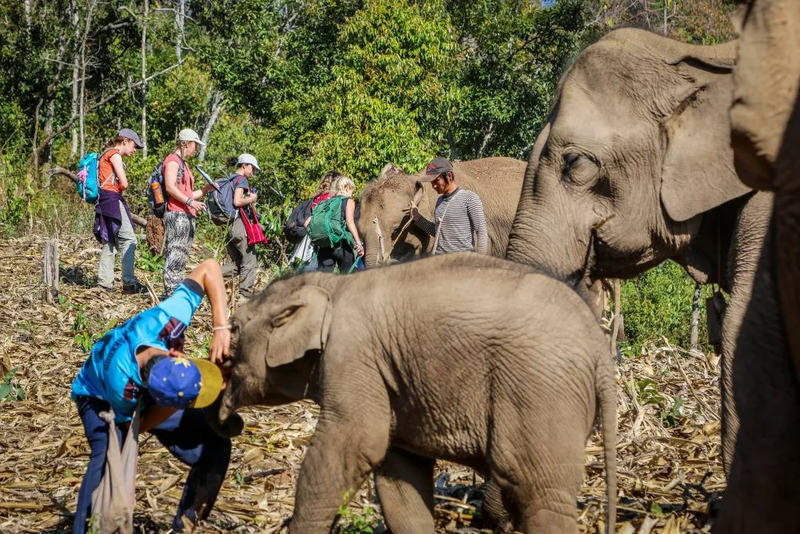 You will partake in hikes each day with the elephants – they can be anything from 3-7 hours over rough terrain and can be quite physically demanding! 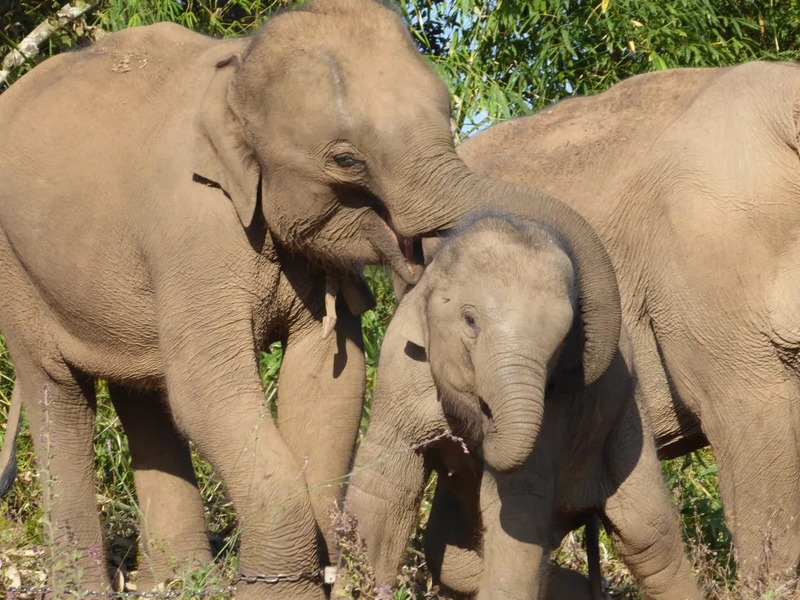 During hikes we collect data on elephant behaviors – specifically their interactions with each other and their mahouts and how they spend their time etc. 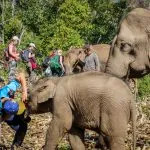 You also have the option to participate in biodiversity hikes instead of the elephant hike, where you will be gathering data on plant, bird, reptile and insects. 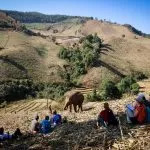 Presentations about work and elephant tourism will be conducted throughout orientation week. 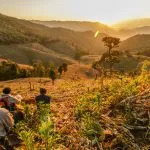 Other village/cultural activities may include basket weaving, rice picking, tree planting, bamboo cup making, language lessons, etc. 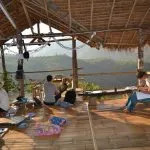 Social activities may include quiz nights, movies and games at communal base hut. There may also be optional night hikes. The program lasts between 1 to 12 weeks. Please contact us for more details. Facilities will be more basic than you are accustomed to – please travel with an open mind and a willingness to adapt to local conditions. First night accommodation is in shared rooms with shared bathroom facilities. 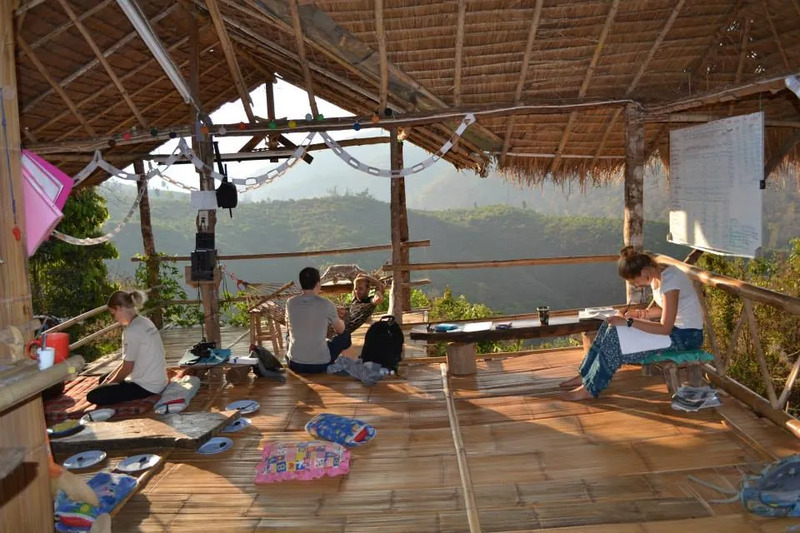 In the village, each volunteer has their own room in a local homestay. There is cold running water for washing and drinking water is provided. 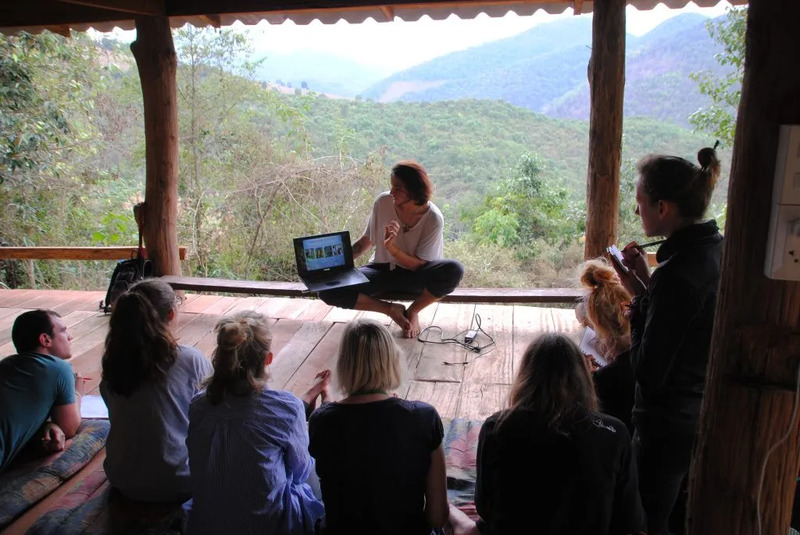 Asian style squat toilet facilities are available, and participants share base duties, including minor cleaning and other chores. All meals are provided in the village. Most meals are rice based with fresh vegetables and meat/fish/egg. The food is typically richly flavored with chili and local herbs. Vegetarians can easily be catered for and spice levels can be adjusted.